There is no designated starting point or stopping point. All of the towns organize 3 days of sales and fun. It is designed so, no matter what direction your are coming from, the first town you hit can be your starting point. You customize your own route according to the time you have. 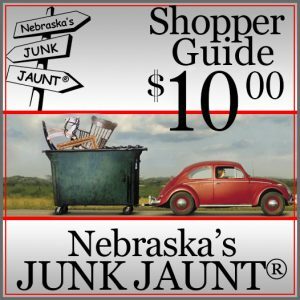 Here again, the JUNK JAUNT® Shopper Guide can be very valuable if you are shopping for a particular type of merchandise.